With a Website Builder Business Plus plan, you can update an existing Facebook business page to match your Website Builder design theme and business information. This does not affect your Facebook personal page — only your Facebook business page. You must have a Facebook account to use this feature. Log in to your Website Builder Business Plus account. In the Dashboard tab, find the Social section in the right-hand column and click Connect or Create. At the bottom of the Preview Mode's Social tab, click Manage beneath the Facebook page preview. Click Connect to Facebook, enter your information and click Log In. 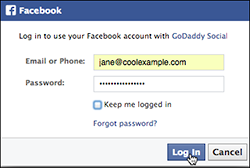 Click Okay when asked if you want GoDaddy Social to manage your pages. This enables matching of your website page and Facebook pages. Choose a selection from the Update Existing Page menu, and click Next. 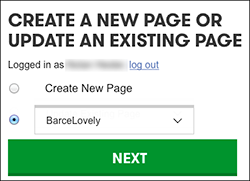 Update Your Facebook Page imports your Cover/Profile photos from your Website Builder account, along with your phone number and website address. Complete the other onscreen fields as appropriate. To replace your Profile or Cover photo, click its Remove button and then Upload Photo. 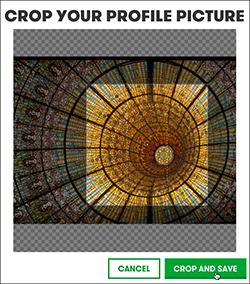 Navigate to an image, select it, position the image cropper as needed, and click Crop and Save. Once the preview of the new photo appears, click Update Page. Note: If you decide that you want to update another page instead, click Back and return to Step 6. Click Visit Facebook Page to see the results. Or click Done if you want to return to the Preview Mode's Social tab. You also can create a new Facebook business page. You also can connect your Twitter page to Website Builder.